Standing in line for hours for one case of canned beer might seem foolish to some people, but to fans of Tree House Brewing — which was recently named one of the country’s Top 15 Craft Breweries by Forbes magazine — it is well worth it. Tree House Brewing began humbly enough in 2011 in a barn in Brimfield, Massachusetts. And yes, there was a tree house on the property. Since then, the brewery has grown so much in popularity that it required a bigger facility. So in July of 2017, Tree House opened a 51,200-square-foot brewery on 68 acres in Charlton, Massachusetts. On opening day, the new facility consistently had 1,000 customers waiting for hours to purchase Tree House’s ales, IPAs and stouts. Many of the patrons traveled from out of state and some arrived at 6 a.m., six hours before the doors opened. It’s been said that the key to Tree House Brewing’s success is meticulous attention to details such as temperatures, additives and the water used in the brewing. It only made sense that the same attention to detail would be utilized when selecting a roofing system for the new facility. The fact that the Sarnafil system is easy to install was an important factor, considering the time crunch of the project. “This was a ‘hurry up’ project — we weren’t done with the design when the steel structure went up,” Webster explains. The Sarnafil RhinoBond System uses advanced induction welding technology to bond the membrane directly to specially coated plates used to secure the insulation to the deck, all without penetrating the roofing membrane. In addition, the Sarnafil RhinoBond System can be used in temperatures as low as zero degrees Fahrenheit (-18°C), making it an ideal application method for winter projects. 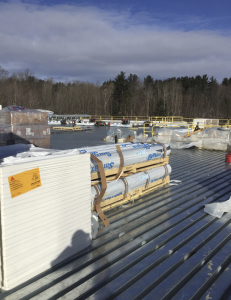 “Much of the installation was during the winter,” states Robert Luukko, president of Kidd-Luukko Corporation in Worcester, Massachusetts, the roofing contractor on the project. “Not only did Kidd-Luukko have to deal with cold temperatures, but the site is on top of a hill so there were high winds,” says Frank Quigley, president and owner of F.D. Quigley & Associates of Wilbraham, Massachusetts, the construction manager on the job. And of course, since it was winter they needed to make the building watertight as quickly as possible. “Fortunately, Kidd-Luukko was able to seal the building before we were hit by some big snowstorms in February,” Webster says. “Bob Luukko and his team had a ‘can-do’ attitude that really helped move the project along,” Webster comments. In fact, Kidd-Luukko was able to complete the installation ahead of the allotted eight-month time frame, Luukko notes, adding that teamwork was key. “We had weekly meetings with a great group of guys involved with the project where we would discuss how we were going to come in on time and on budget with this installation,” he says. Sika Roofing representatives also played a role in meeting the deadline. “We had multiple visits from the Sika technician, which really kept the project moving forward,” Luukko remarks. At the new facility, Tree House Brewing will be able to produce 40,000 barrels a year — compared to 12,000 barrels at their former facility in Monson, Massachusetts — and they plan to eventually expand the capacity to 180,000 barrels a year. That’s news that should make thirsty Tree House beer fans very, very happy. OMG Roofing Products demonstrated its new RhinoBond Foil Tool, an induction welding system for securing single-ply commercial roofing membranes, at the BAU show in Munich. OMG’s RhinoBond Foil Tool is specifically designed for use over foil face PIR insulation. The welding tool includes plate sensor technology to help users locate RhinoBond Plates installed under the roofing membrane, and assists with tool alignment for optimum bonding. A tone and a visual indicator light lets operators know when the weld cycle is complete. The RhinoBond System is induction based technology used for installing commercial roofing systems. To date, more than 170 million m2 of commercial roofing membranes have been installed around the globe with RhinoBond, including more than 125 projects in Europe accounting for more than 3,200,000 m2. The company was also looking for new distribution partners in targeted geographies throughout Europe during the show. RhinoBond is a method for installing thermoplastic and soon will be available for certain clean EPDM membrane. The system consists of a stand-up induction welding tool and magnetic cooling clamps. 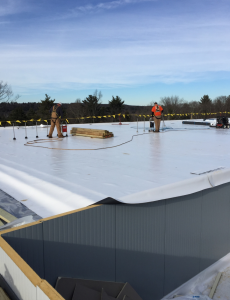 Contractors install roofing insulation using fasteners and specially coated plates designed specifically for the type of membrane being installed – PVC, TPO or Clean EPDM. Each plate is then bonded to the roof membrane installed over the top with the RhinoBond plate welding tool. The result is a roofing system that can provide enhanced wind performance with fewer fasteners, fewer membrane seams and zero penetrations of the new membrane. Currently the RhinoBond System conforms with CE requirements and is approved for use in Europe by many roof system providers, including Bauder, Carlisle/Hertalan, Danosa, Fatra, FDT, Firestone, GAF, IcoPal, IKO, Renolit, Sika, Siplast, and Soprema/Flag. 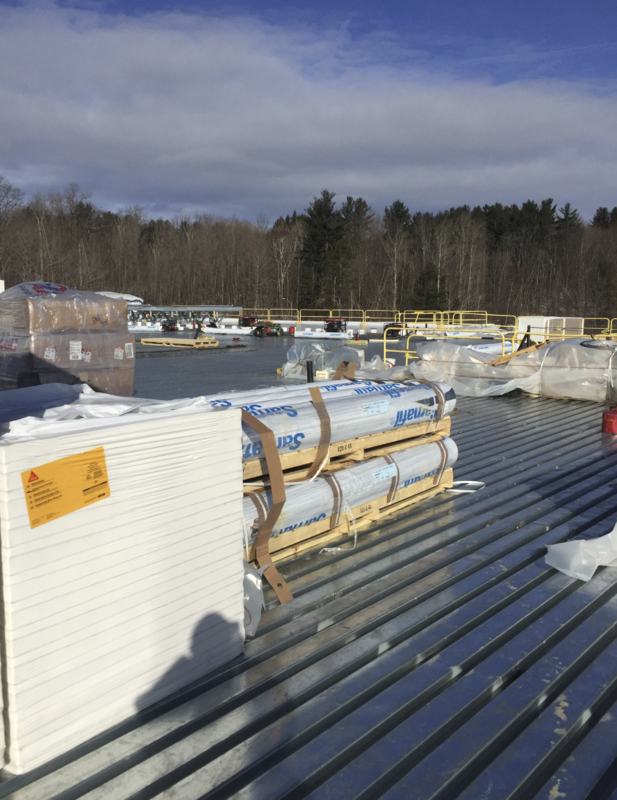 Headquartered in Agawam, Mass., OMG Roofing Products is a supplier of commercial roofing products including specialty fasteners, insulation adhesives, roof drains, pipe supports, roof repair tape as well as productivity tools such as RhinoBond. The company’s focus is delivering products and services that improve contractor productivity and enhance roof system performance. For additional information, please contact OMG Roofing Products at (413)789-0252 or visit the website. The Roof Coatings Manufacturers Association (RCMA) has launched its Speakers Bureau program to offer an educational presentation on reflective roof coatings. RCMA’s Speakers Bureau consists of several RCMA members with expertise on the topic who have volunteered to deliver presentations throughout the country. 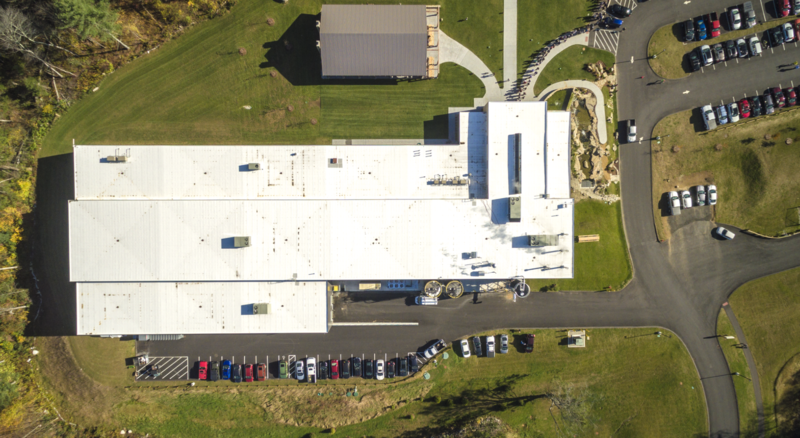 Understand the benefits that reflective roof coatings impart on low-slope roof systems. Recognize why reflective roofs are environmentally important and comprehend the science behind how reflective roofs save energy. Determine best practices for preparing a roof membrane and application methods for reflective roof coatings on low-slope roof systems. Identify payback, energy savings, and other non-quantifiable benefits by evaluating several real-world roof-reflectivity case studies. RCMA is an approved continuing education provider with the American Institute of Architects (AIA) and RCI Inc. By attending the course, attendees qualify to earn 1 AIA General Learning Unit Hour (1 LU Hour) as part of AIA’s Continuing Education System or 1 RCI Continuing Education Hour (CEH). Groups interested in offering this presentation at an upcoming meeting or event should contact RCMA Staff Associate Cecily Alfonsi to participate. USG Corp. has unveiled its USG Securock Brand Concrete Roof Deck Panel. USG Corp. has unveiled its USG Securock Brand Concrete Roof Deck Panel, a durable structural panel that can be combined with other noncombustible materials to create a one- and two-hour fire-rated roof/ceiling assembly. Designed with great uplift ratings and to carry gravity and lateral loads, USG Securock Concrete Roof Deck Panels are mechanically fastened to cold-formed steel joists or framing members, and roof membranes or insulation attach directly over the panels. The panel meets the criteria of ASTM E136-04 for use in all types of noncombustible construction. SOPREMA Inc. has developed SENTINEL PVC, a high-performance roof membrane. 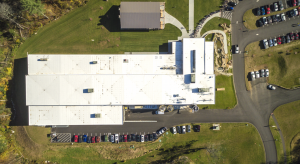 SOPREMA Inc. has developed SENTINEL PVC, a high-performance roof membrane that is manufactured using processes that provide rooftop performance, including SOPREMA’s Acrylic Shield surfacing. SENTINEL integrates silver and copper metallic powder in its Silver Art and Copper Art products, providing enhanced aesthetic appearance and weathering capabilities that are identical to metal roofs. The PVC is chemical-resistant, making it well suited for buildings that are prone to grease and oil exposure or factories with exhausts on the roof. SENTINEL PVC is also fire- and wind-rated by Underwriters Laboratories and FM Approvals.